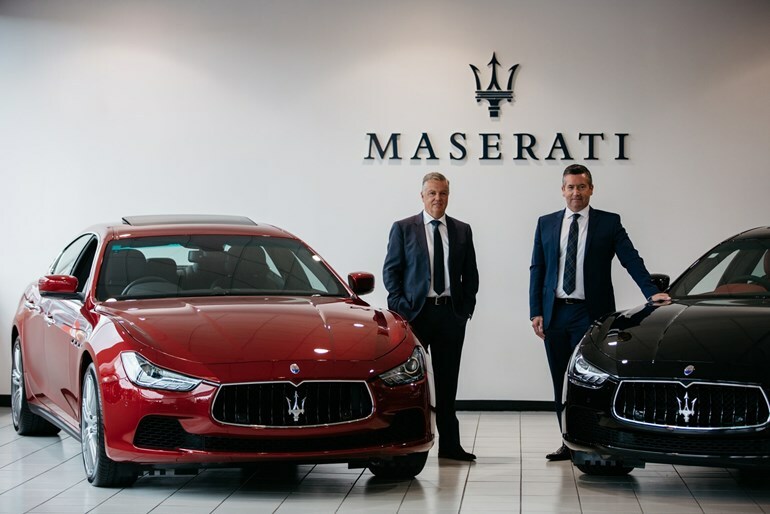 Winger Motors, one of New Zealand’s oldest car dealer groups, is making a multi-million dollar investment to become Auckland’s Maserati dealer. Opening Winger Maserati represents one of the most significant moments in the 85 year history of the company. Winger Motors, one of New Zealand’s oldest car dealer groups, is making a multi-million dollar investment to become Auckland’s Maserati dealer and assume responsibility for the legendary supercar brand in the North Island from April 2016. Winger Motors was established in 1932 as Norman Winger and Lionel Squire in Hamilton before becoming Winger Motor Sales in 1935. The company built its reputation first on European brands and, from 1972, took on its first Japanese brand, followed by Korean and North American brands. The company now operates dealerships not just in its home town of Hamilton, but also on the North Shore and Greenlane in Auckland and Pukekohe as well as Queenstown and Cromwell on the South Island. Winger Maserati will operate initially from the existing premises of Maserati Auckland on Broadway in Newmarket before moving into their new premises which will be sited on Great South Road, Newmarket. The new facility will offer a showroom of more than 1500 square metres, fully capable of meeting the needs of displaying not just the existing Maserati range of Ghibli, Quattroporte, GranCabrio and GranTurismo, but also the all-new Maserati Levante which is expected to arrive before the end of the year. The Levante will all but double Maserati sales in in New Zealand, as it will around the world. The new showroom will be matched by new, state of the art workshops and a dedicated pre-delivery area. In total the new dealership will employ 18 people. Steve Hilson has been appointed by Winger Motors as General Manager of Winger Maserati and brings with him a wealth of experience in luxury and performance cars through work both in New Zealand and Europe. Winger Motors could not be joining Maserati at a more exciting time. Maserati has enjoyed a level of sales success unmatched in its 101 year history over the past three years. First the new Quattroporte and the new the Ghibli smashed sales records while maintaining Maserati’s unique reputation for performance, style, luxury and exclusivity. But the next 12 months will see Maserati enter a whole new area of the market with Levante. Launched last month (1 March 2016) at the Geneva International Motor Show, the Levante is Maserati’s first SUV and is already getting strong reviews from the motoring media.